USB drives are extremely popular as promotional gifts. Why not have a unique product that matches your brand or campaign? We offer custom flash drives that match almost any design; the possibilities are endless. Why not have a memory stick made up into the shape of your logo? Or how about a pill bottle for a pharmaceutical company or a lorry for logistics experts? Custom flash drives could be made up to look like one of your products, perhaps to help launch a new line? All colours are available including the Pantone matching system, and your brand message and logo can be accurately printed on the surface. 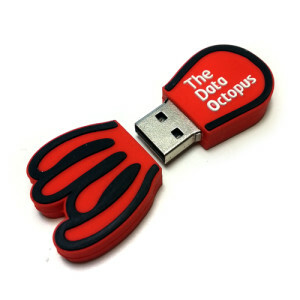 Custom USB sticks are a clever and thoughtful product that will create a talking point. Your customer will enjoy using them and showing them off to their friends. Affordable custom flash drives make a fun promotional product for giving away at exhibitions and events, they are also suitable for selling as branded merchandise. Our fast production times mean that you don’t have to wait long for your custom USB sticks; delivery is within 14 working days from artwork approval. Pocket Memory has been selling USB memory drives for over 15 years and the custom USB flash drive is one of the latest designs. We offer a lifetime swap out warranty and friendly customer service.